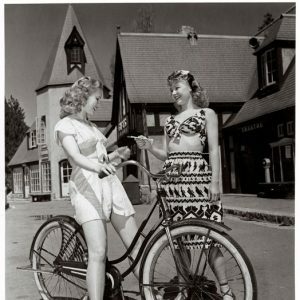 Virginia Mayo rides a bike. Vera-Ellen offers chocolate. 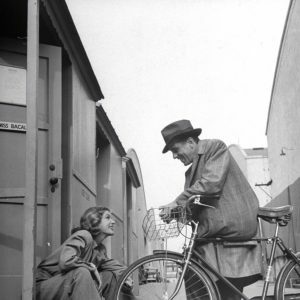 Humphrey Bogart stands by a bike. Lauren Bacall smiles. 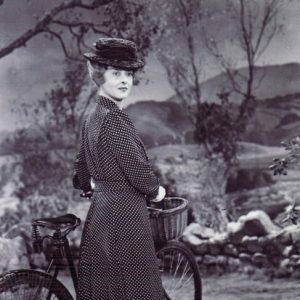 Bette Davis walks a bike.